1. Store the crab meat in MEDIUM container with an insert tray (to allow the crab to drain any excess water). 2. In a MEDIUM container, combine the mayonnaise, rice, scallions, egg, and tarragon. 3. When ready to make the crab cakes, combine the wet mixture with the crab meat. This can be mixed directly in the container the crab meat was stored in. 4. Add the breadcrumbs as needed until the mixture is just coming together. Season with salt and pepper. Form the cakes into 8 separate portions, then form into cakes approximately 1 inch thick. Refrigerate for 1 hour to allow them to firm up. You can use the lid of the container to hold the crab cakes in lieu of a sheet tray. 5. Heat a small film of canola oil on the bottom of a sauté pan. 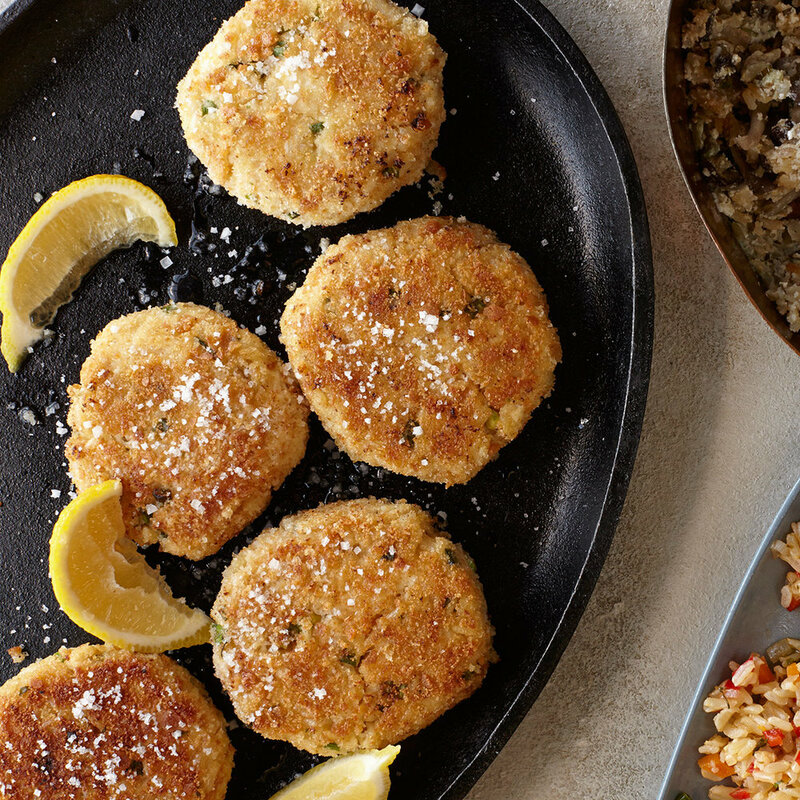 Sear the crab cakes on one side for approximately 2 minutes over a medium high flame. Flip the crab cake over and repeat until the center of the cake is warmed, about 3 more minutes. Serve with the lemon wedges.